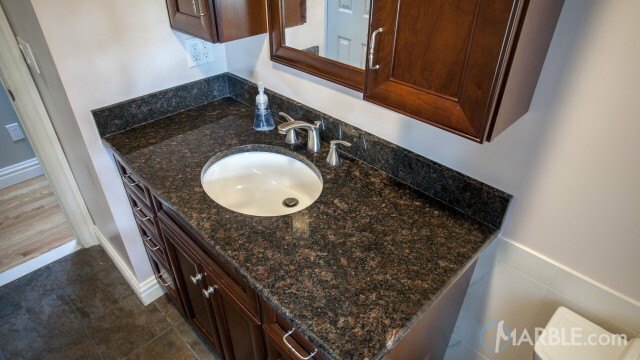 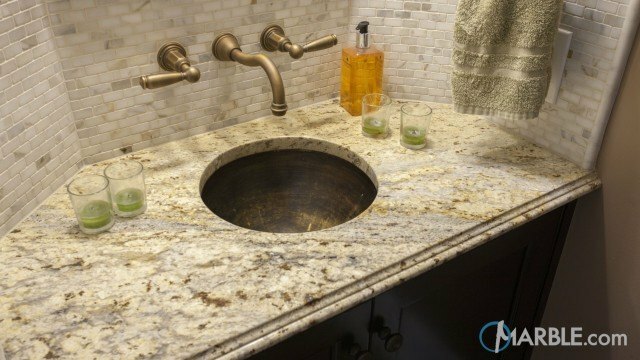 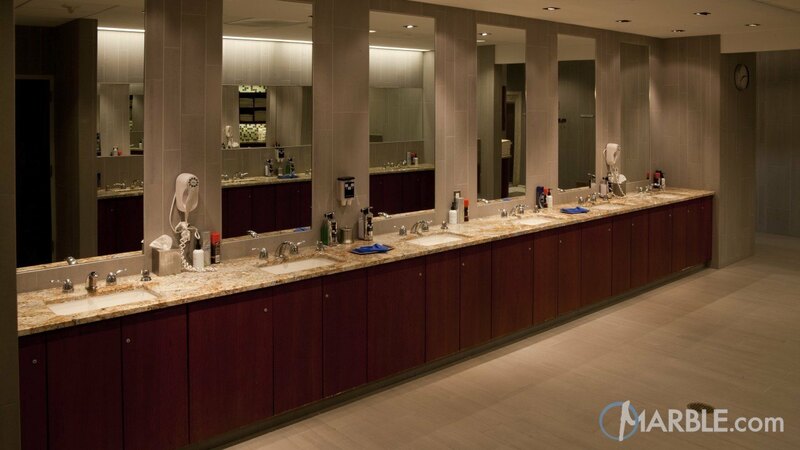 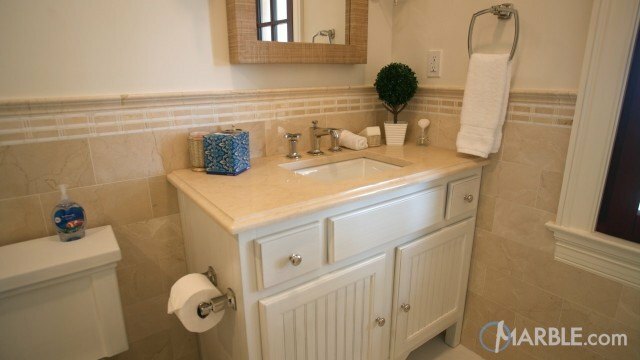 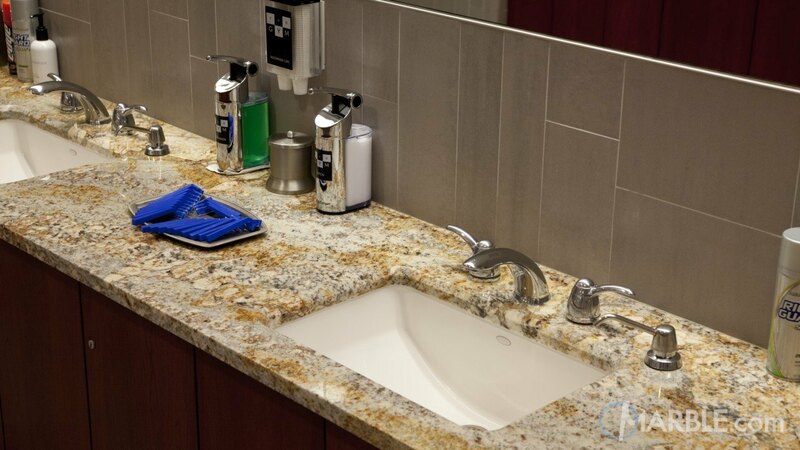 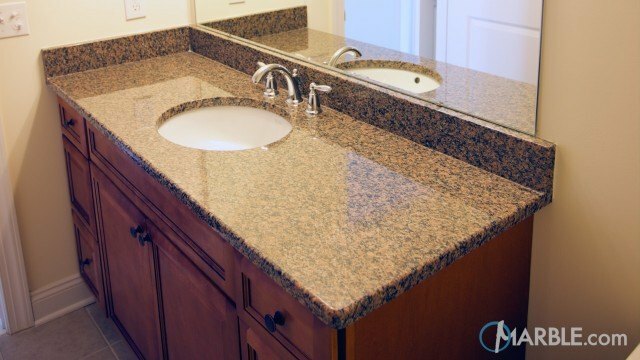 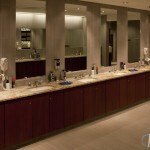 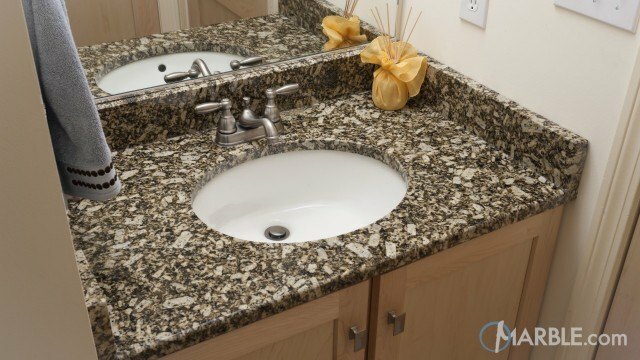 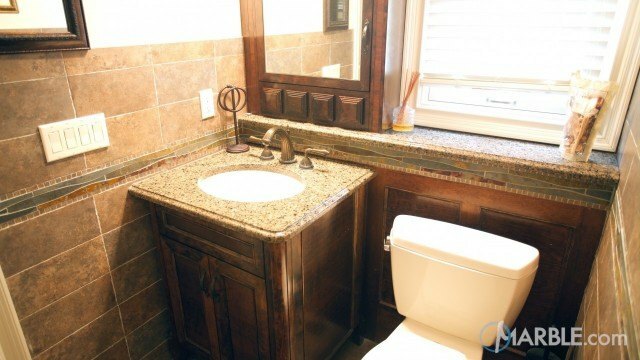 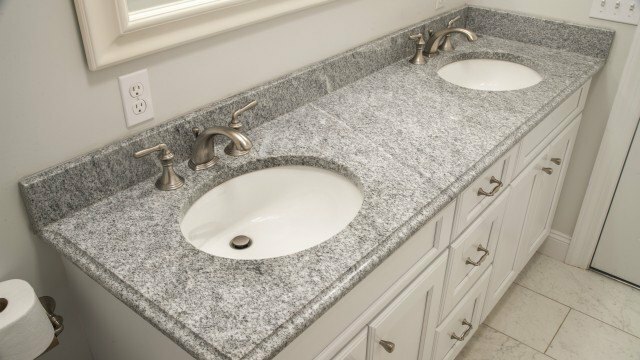 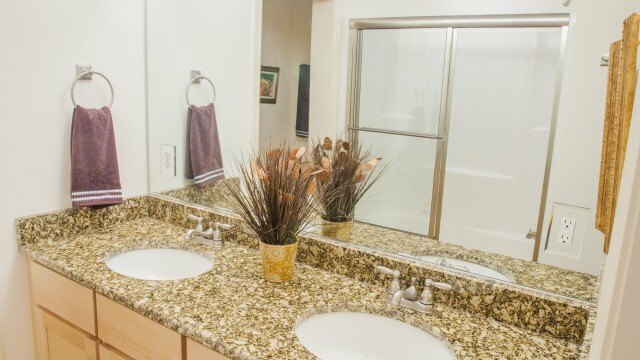 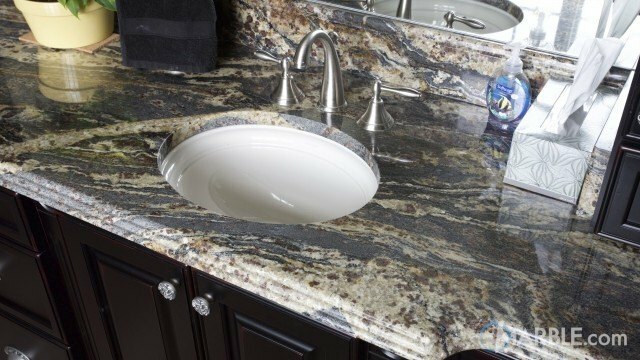 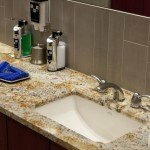 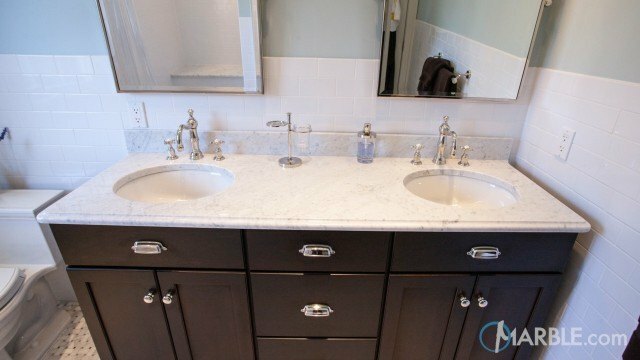 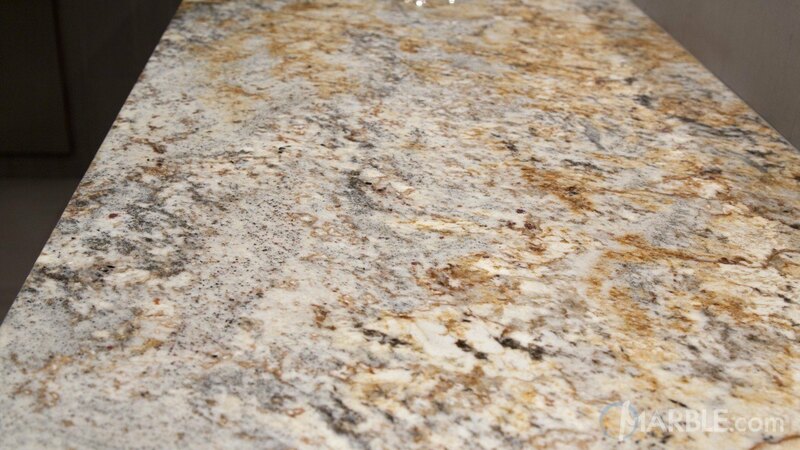 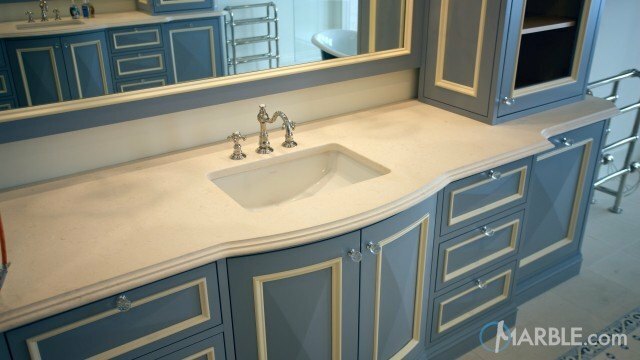 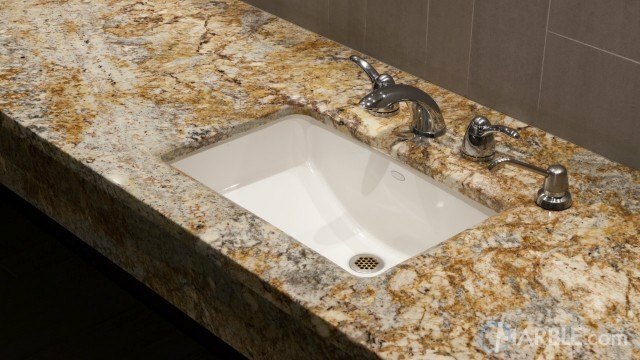 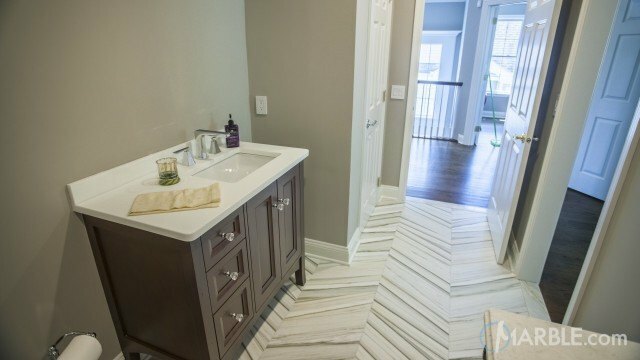 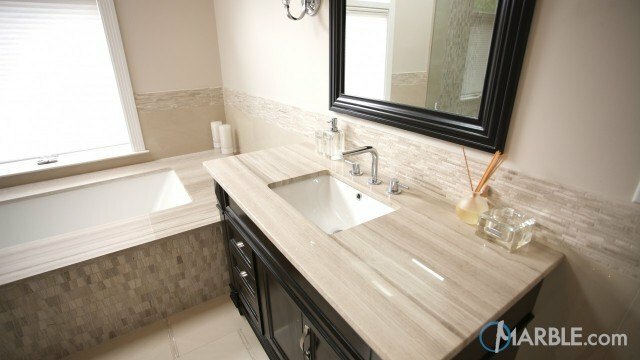 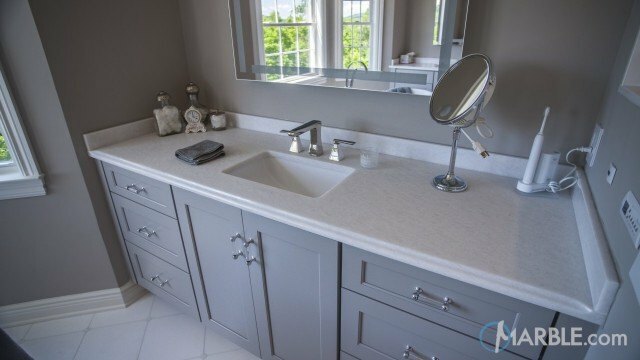 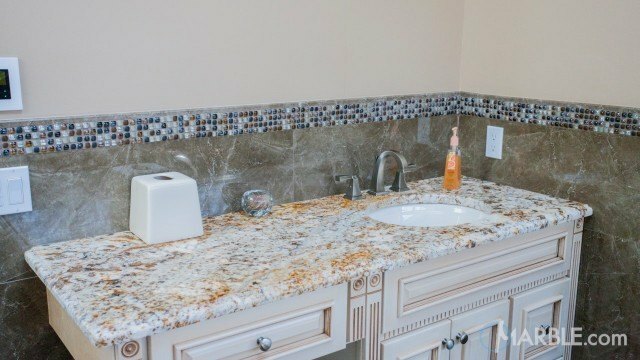 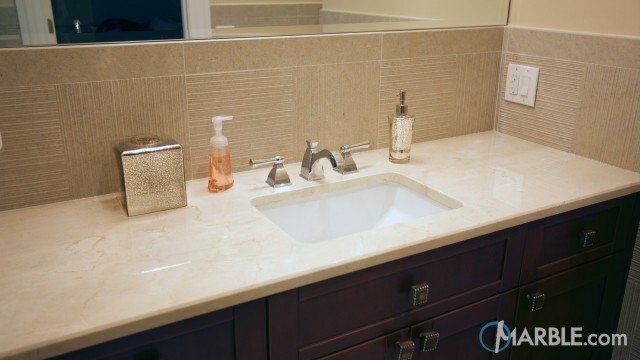 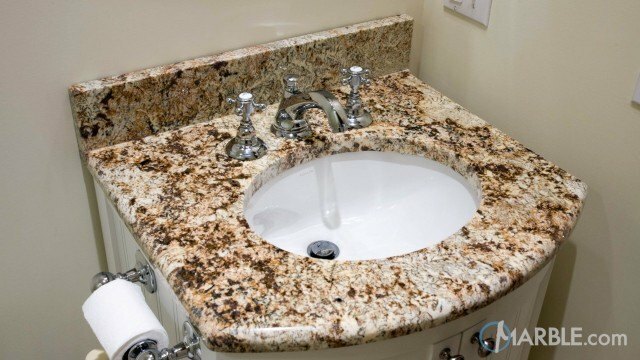 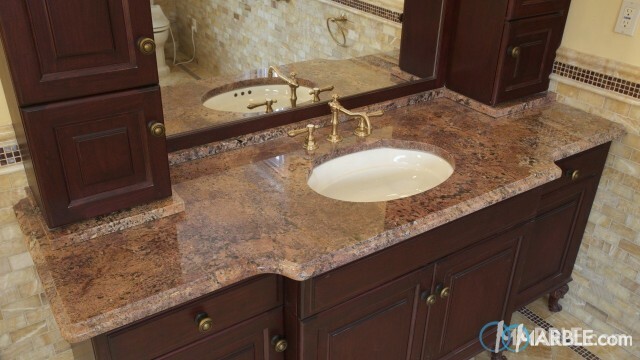 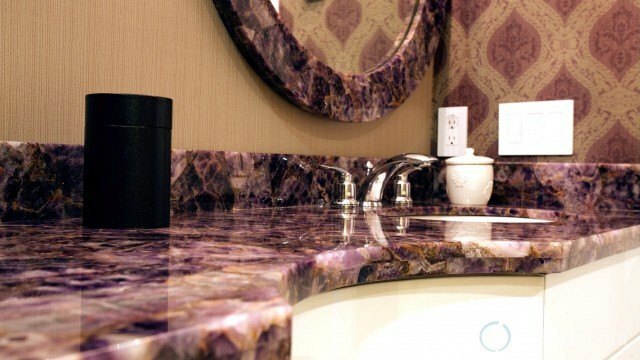 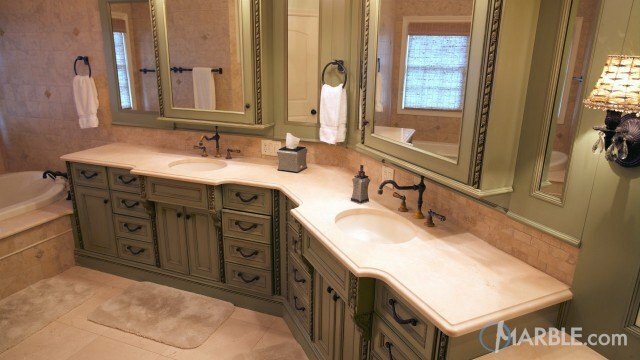 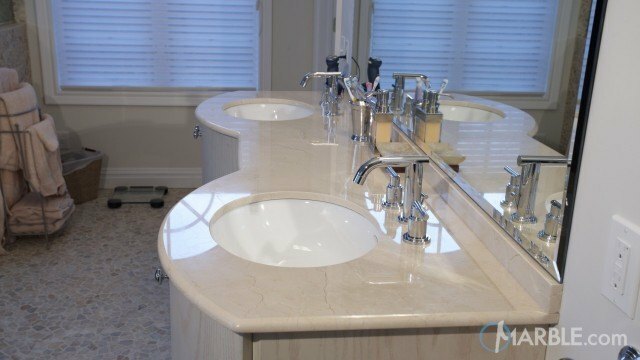 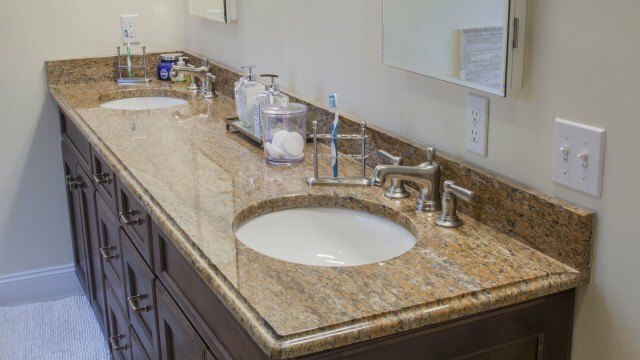 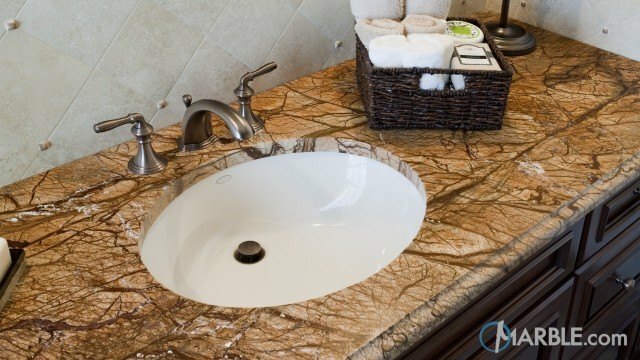 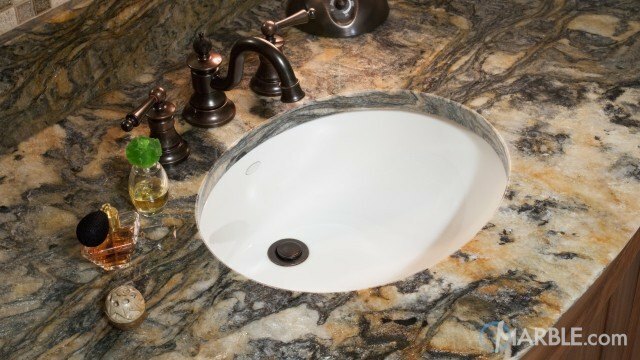 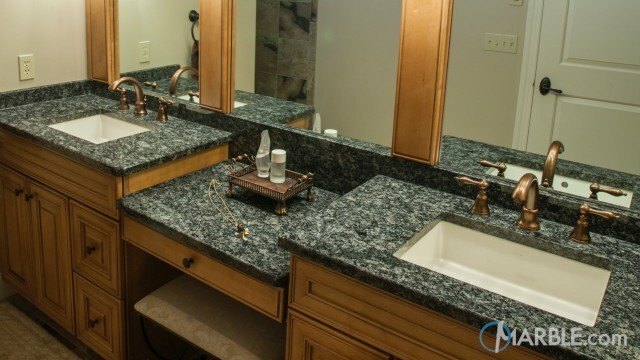 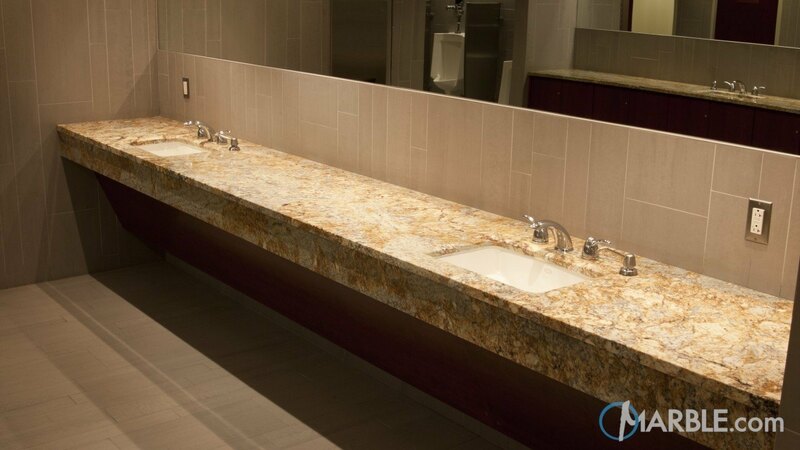 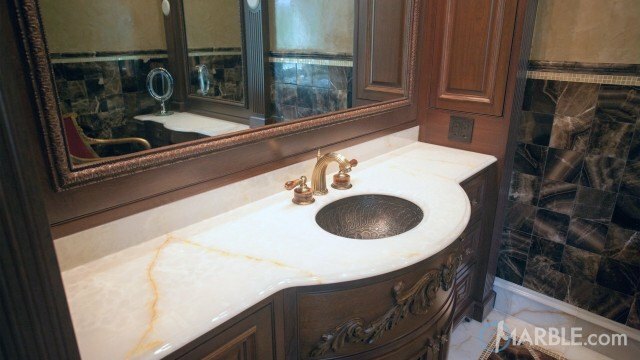 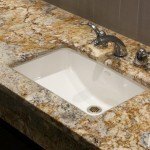 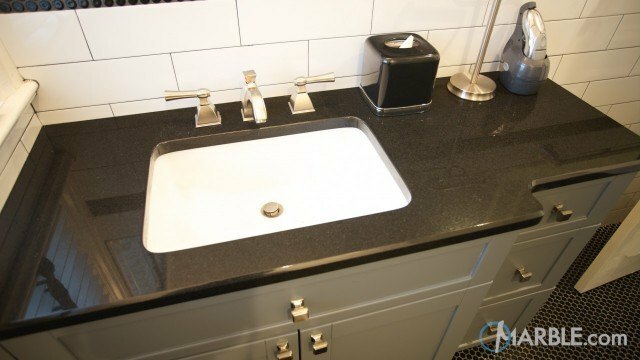 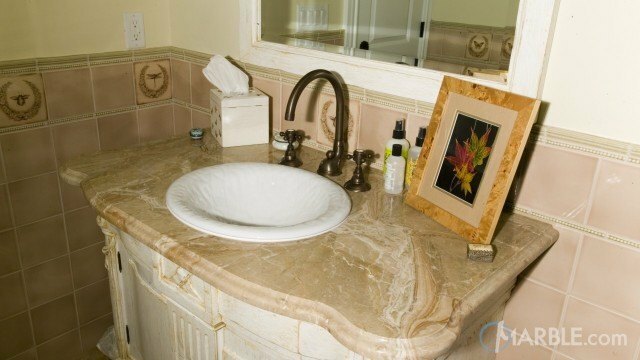 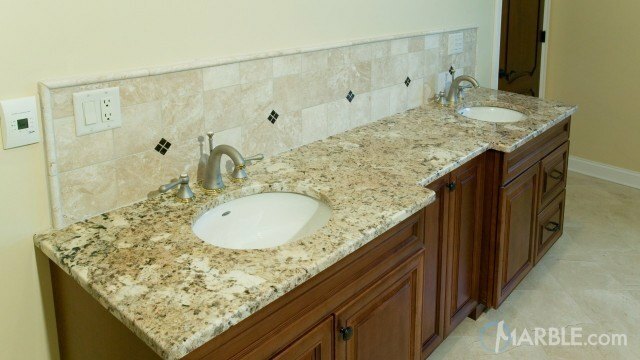 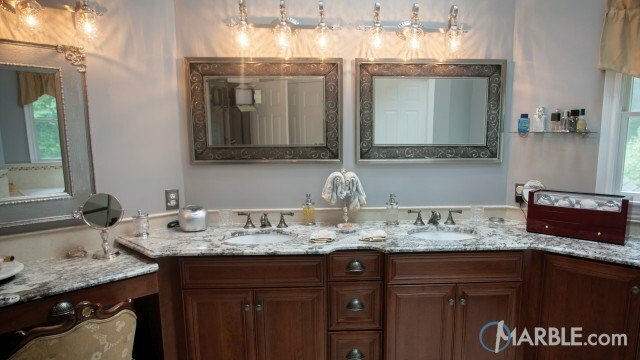 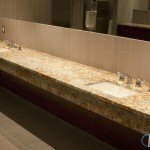 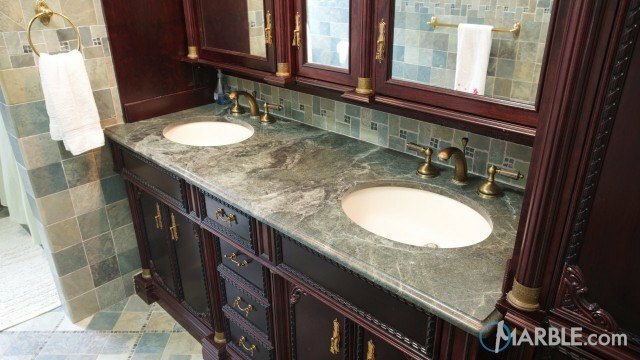 Siena Beige granite with a Straight Edge works perfectly on this commercial bathroom's vanity. 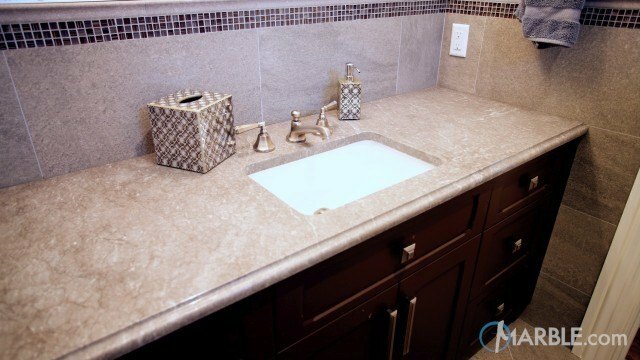 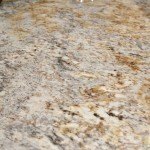 The light colored stone lends a warm and inviting look to the space, and brightens up the room with its brown, beige and white speckled pattern. 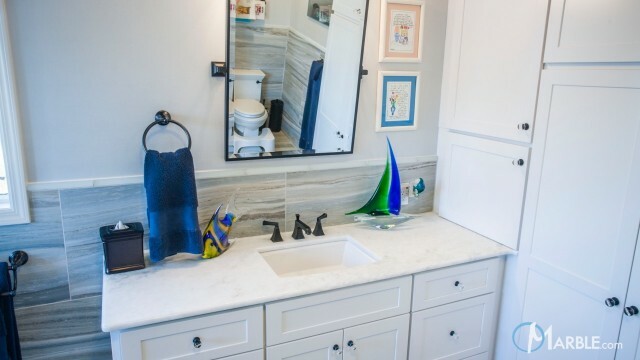 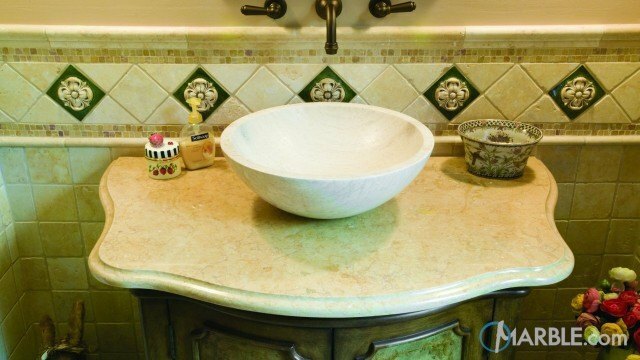 Bright white sinks contrast with dark wooden cabinets to allow the stone to truly stand out. 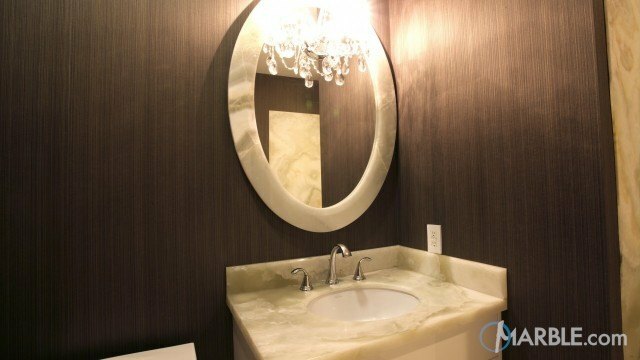 Large vertical mirrors and solid grey tiles add height to the bathroom and make the space seem even larger. 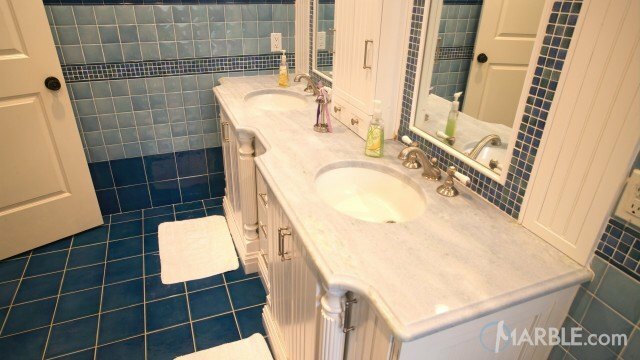 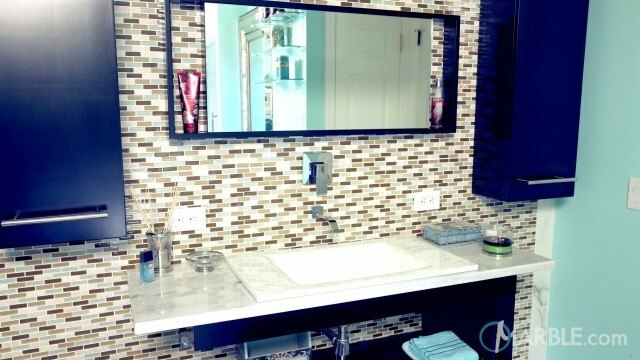 Blue razors laid out on the counter top add a pop of color to finish the room.